Born in 1975 and graduated in 1994 from the Ballet School in Ufa with the highest awards. She then joined the Moscow National Ballet and, in spite of her youth, has already danced many leading roles, including Princess Aurora in The Sleeping Beauty and Chopiniana, Kitri in Don Quixote, Spanish Bride in Swan Lake and many others. She is a diploma medal recipient of the International Ballet Competition in Nagoya Japan and a diploma winner at the competition Arabesk in Russia. Also, performed as a guest star with various Russian ballet companies. Graduated from the Saratov Ballet School and joined the Stanislavsky Ballet company in 2007. Born in Moscow in 1973 and was a student of Bolshoi Ballet Moscow Academy since 1983. Repertoire includes solo and leading roles in ballets "Coppelia", " La Fille Mal Gardee" and "Paquita". Participated in professional tours on the USA, France, Belgium and Japan. Upon graduation of school in 1991, he joined the Bolshoi Ballet . Has had solo roles in  "Nutcracker", "Romeo And Juliet ", "Corsair", "Valpurgius Night ", "Golden Age", etc. Also, together with troupe " Stars of the Bolshoi Ballet " went on tour on the USA, Australia, Singapore, Gong Kong, England where he danced pa de deax from "Don Quixote", "Raimonda", "Coppelia" and "Corsair". In 1996, passed to the State Academic theatre of Classical ballet where he executed solo and leading roles in ballets " Don Quixote ", "Swan Lake ", "Gisele", "Cinderella", "Nutcracker", " Romeo and the Juliet ", "Firebird", "Sacred Spring ", and toured the “Grigorovich Ballet.” Member of the Stars of the Ballet Moscow in 1998, 2000, 2002 North Americans tours. 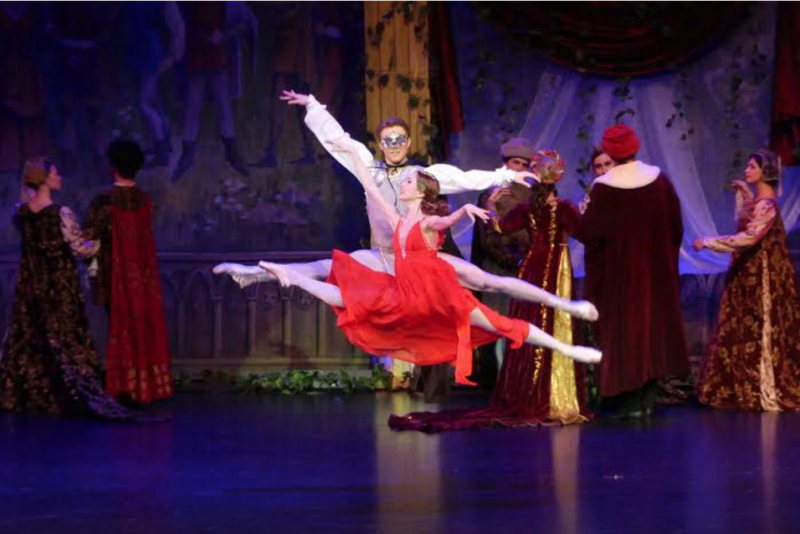 roles in ballets "Cinderella", "Carmen ", "Swan Lake", "Gisele", "Don Quixote", "Paquita" and others. The company has a participated in ballet tours in the USA, Great Britain, Germany, Italy, and the Republic of South Africa. Since 2005, Mikhail had been the production manager of the ​Ballet Stars of Moscow.